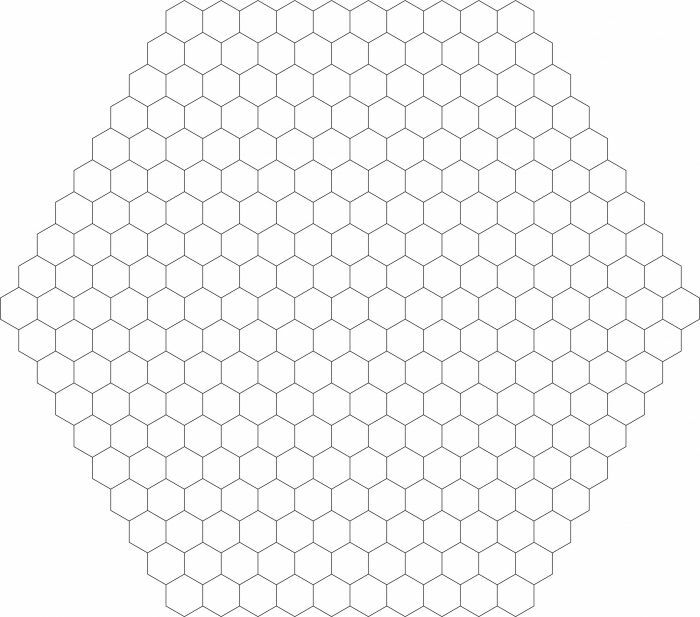 The following pattern of hexagons (10 small hexagons on each side) is to be coloured in. Three colours are available, red, yellow and blue; each small hexagon must be one solid colour; and adjoining hexagons must be different colours. How many different ways can the whole pattern be coloured in? Hundreds? Thousands?